Designed to enhance the visibility of bikes and riders. 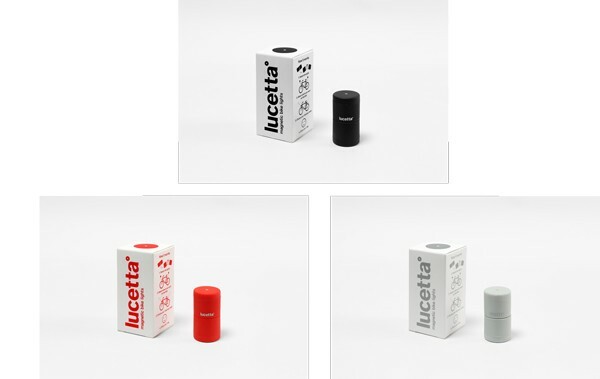 Lucetta Made up of two small magnetic lights, the Lucetta is the new, essential light for your bike. Easy to attach to any bike, the two small lights - 1 red and 1 white - switch on with just a click and are guaranteed to stay securely in place even on the bumpiest street. You can select a steady beam, a slow or fast flashing light by simply clicking the light on the bike. When you reach your destination, remove the lights, join them together and slip them in your pocket ready for your next outing. Sartorio Vico knitware kept me warm at the inauguration!